TSK flew out of the gate with a quick 6-0 run led by Daniel Bryan and Matt Davis forcing Cardiff into a quick timeout to make some early adjustments. A. Abdullahi answered out of the TO for the visitors to get them off the mark but TSK responded instantly with another 6 of there own to put Kestrels up 12-6 just 4 minutes in. The visitors couldn’t manage to trim the deficit. Even after Cardiffs P. Likosso got his scoring tally of the mark. However the visitors scored back to back baskets now up 20-10. Kestrels closing the quarter on a 7-2 run to stretch the lead to 12, 26-14. Both sides traded baskets in the early goings of the second quarter as P. Likosso continued to finish well for the home team. A 10-3 run for TSK forces Cardiff City’s head coach onto his second timeout with the score out at 36-17 mid point into the third. Another 6 unanswered points post TO including 4 more from Daniel Bryan pushed Kestrels to secure a comfortable lead of 18 at the half. 42-24. Sharp shooter Karl Teesdale opened the fourth quarter action with two of his four triples in and amongst Cambridge Kisby’s additional 4 points to make the lead 25. A. Abdullahi continued to be a handful for the visitors but his efforts would be extinguished as Kestrels extended the lead further to close the game out, running out 78-51 winners to set up a win and gain their first W in the Div 3 this season. 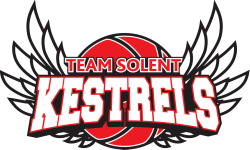 TSK were led by Daniel Bryan’s 16 points and 7 rebounds two 2 steals, whilst Matt Davis had 14 point/2 assist and Karl Teesdale had 12 points/ 3 assists and three steals. Sylvain Donneaud TSK ’s Head Coach commented this on his sides victory “I am very please with our first game and especially defensively. We were able to keep the home team below 60 points and it’s one of the key factors for the W.
Next week we welcome Bristol Flyers II who started the season with a big win against Oxford, Tip at 6pm St. Mary’s Leisure Centre.